(Last Updated Mar 2019) – We all know how important it is to cook food properly to retain its nutritional value and its natural taste. Still, we keep frying and roasting our food to death. All that is left of our food after long periods of frying, roasting or cooking over high flame is a sinful meal that may well satisfy, but contains umpteen calories and has zero nutritional value. Many people are also rediscovering and appreciating the flavors of each piece of food for what it is. A piece of broccoli should taste like an amazing piece of broccoli. So, is there a way out? Of course, there is, all you need is an interest in food and some basic preparation skills. The Sousvide supreme demi water oven is an amazing piece of kitchen equipment that can cook food, slowly, consistently, and with perfection. 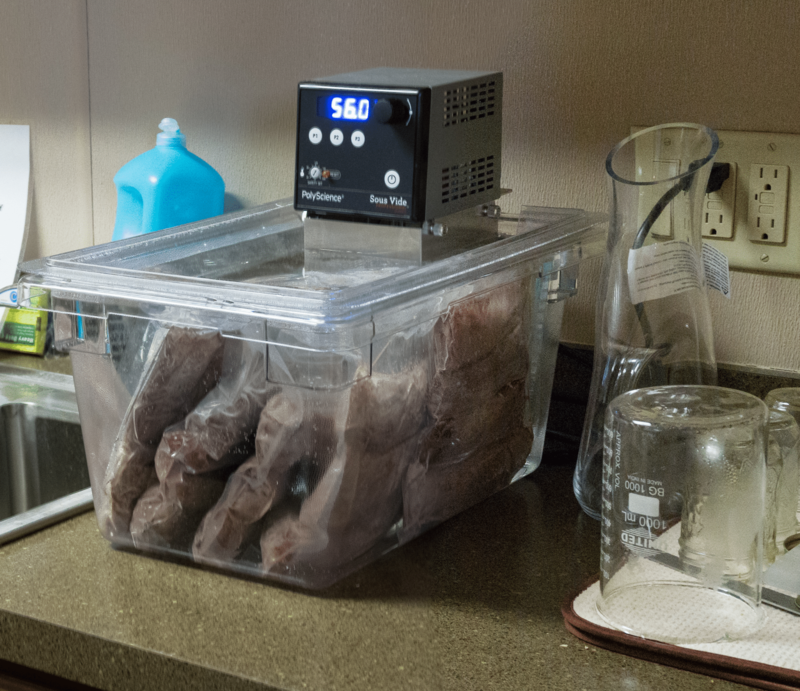 Sous vide is a culinary technique that involves cooking the food by wrapping it into vacuum sealed packets, and then immersing these packets into hot water maintained at a constant temperature. The food cooks in its own juices, slowly, at a constant temperature. This ensures that your food cooks evenly, and no nutrients are lost in the process. All the aroma, taste and nutrients stay intact in the vacuum sealed pack, and you get beautifully cooked, extremely delicious, and super healthy food. Sous vide recipes have not only been a favorite amongst health and natural food freaks but also some of the world top chefs love using this cooking method. You can cook vegetables, meat, poultry, and many a lot more things in the Sousvide supreme water oven. Not only will you get all the natural tastes and aromas in the food, but you will have steaks and meat so nicely cooked it will honestly just melt away in your mouth. Vegetables cooked in this manner remain succulent and the natural colors are not lost. Depending on the food item you are cooking, and the texture that you want, you can adjust time and temperature of the water inside the oven. Even with tough cuts of meat, you can get amazingly smooth and tender textures. Shouldn’t sous vide be better left to chefs and restaurants? 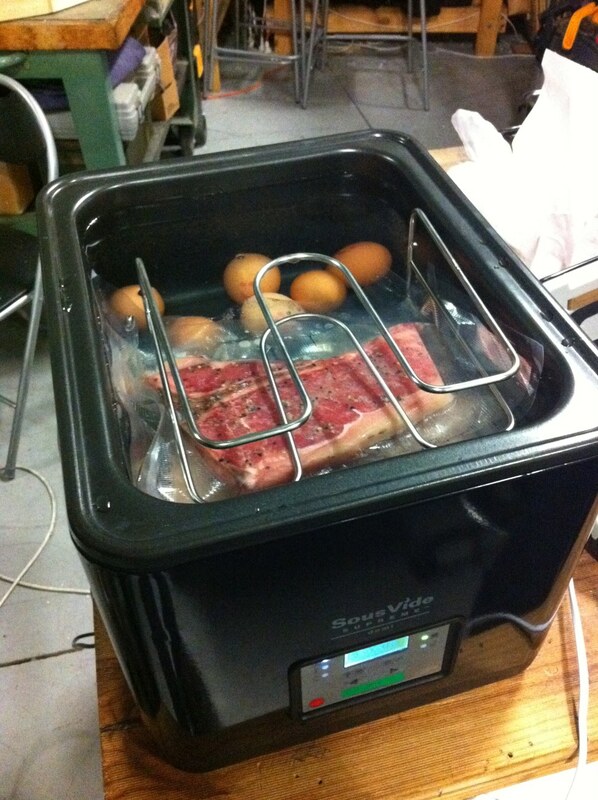 Sous vide does sound rather complicated to a culinary layman. Ensuring the right temperature, correct cooking times, vacuum sealing, and other things does seem laborious. But believe us; it is much easier than it sounds. We came across this Sousvide supreme water oven on Amazon, the reviews were pretty good, and being ardent Sous vide fans we could not help exploring it further. Here is what we found out about this product. The first thing that would appeal to any consumer is that this oven is ideally suited for both commercial and domestic kitchens. Using this oven is not rocket science; you certainly don’t need a chef’s cap to operate it. All you need to do is season or marinate your food, vacuum seal it in plastic bags, set the temperature and cooking time and immerse the sealed bags in the oven, and go for a walk, shopping, or just watch TV. You can cook food for hours or days, as you require. The food will keep simmering in its own juices without losing any nutrients or taste. The Sousvide Supreme Demi Water Oven comes in a sleek and elegant design, and can sit gracefully on any countertop. It is extremely easy and convenient to use. There is a control panel on the front that lets you set and monitor the temperature and time. Just press a few buttons set the time and temperature, and this oven will take care of the rest. With this oven as your cooking partner, you can stay assured that your food will turn out perfect every time. Once you have set the temperature, the oven will maintain it constantly with a variation of no more than .5 degrees Celsius. With such precision, you never have to worry about overcooking or undercooking the food. This oven comes with an aluminium lid, which can be turned upside down to act as a tray. The perforated grill generates thermal induction that ensures even cooking. The rack is compartmentalized into three levels to separate food, and to ensure consistent cooking. Even the handles are designed in a way that they don’t get heated up, and allow for an easy grip. Another great feature of this oven is that it is extremely energy efficient, once preheated, it only uses up as much energy as a 60 Watt bulb. Not only this, it cooks your food silently, not causing an iota of noise in the kitchen. The best part about cooking with a Sousvide supreme water oven is that you rid yourself of all trouble of scrubbing and washing the dishes. With this oven, you just have to remove the pouches, water, and wipe the container clean. 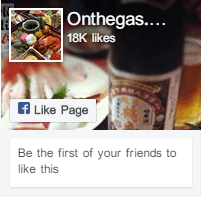 The food quality that you get is extremely good; it is healthy and delicious. The Sousvide supreme water oven is extremely efficient and easy to operate. However, the price tag may make it a little hard for someone with a small budget to own it. And add to it the cost of buying a vacuum sealer; the budget becomes a little exorbitant. 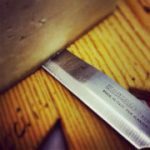 Nonetheless, the benefits like energy saving, ability to tenderize inexpensive tough cuts and better nutrition can offset the high price. Moreover, if you buy it online through a place like Amazon, you can often save a fair bit and they deliver it as well.